When Argos asked us to come up with an idea to help promote their smart tech products, we looked no further than a campaign around their home assistants range. With 3 million of us owning one – and that number rising fast – it looks like they’re what consumers think of when they’re considering buying the latest mainstream tech. So, we pondered, how could we show just how intelligent they are and it’s worth buying one as a result …? 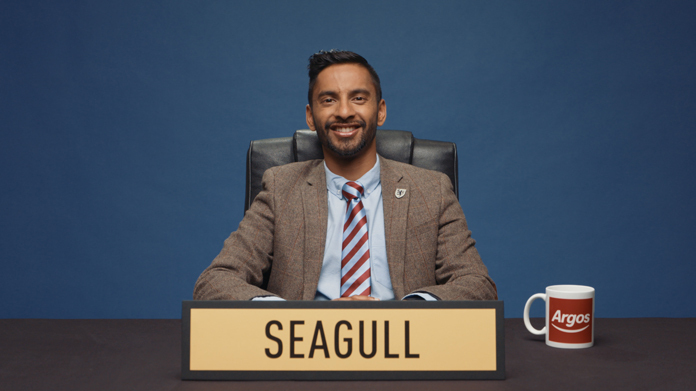 Step forward University Challenge legend Bobby Seagull, who we challenged to take part in the ultimate test of bot vs brainiac. His formidable opponents came in the shape of Alexa, Google Home and HomePod. We combined their considerable intellectual might to take down the quiz maestro on a sweltering day in an East London studio on a set that looked all-too-familiar. A quick pit-stop to demonstrate the floss, a rant about Love Island and a tirade about Khloe Kardashian couldn’t stop the might of the robots, forcing Seagull to storm off having tasted a bitter defeat … all without even a salute goodbye. The media lapped up the tale of our challenge, with national pieces landing on the Daily Mirror, Daily Express and the iPaper. The regional rumble was then felt with over 120 articles across The Irish Independent and Cambridge News to name but two of the mass of write-ups.